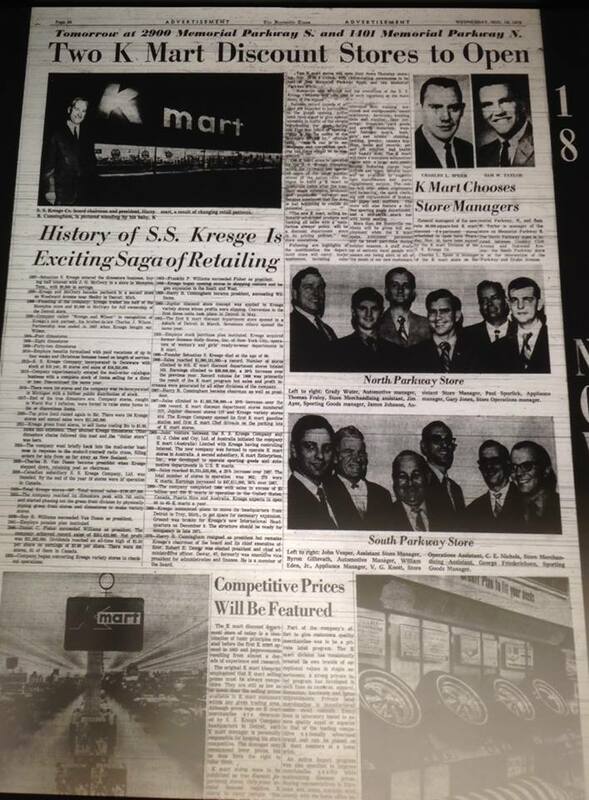 Some of you may know that Kmart built many stores in the 1990's to later be expanded to Super Kmart or a "store within a store" concept. Most are hard to find due to most of them being closed down during the bankruptcy of 2002-2003. As years went on, the 10-20 year leases ran out and Kmart ditched them to the highest bidders. Thankfully, some of these remain and I can show you what Kmarts vision was for the future! This is the Kmart in Anderson, SC, opened in 1995. 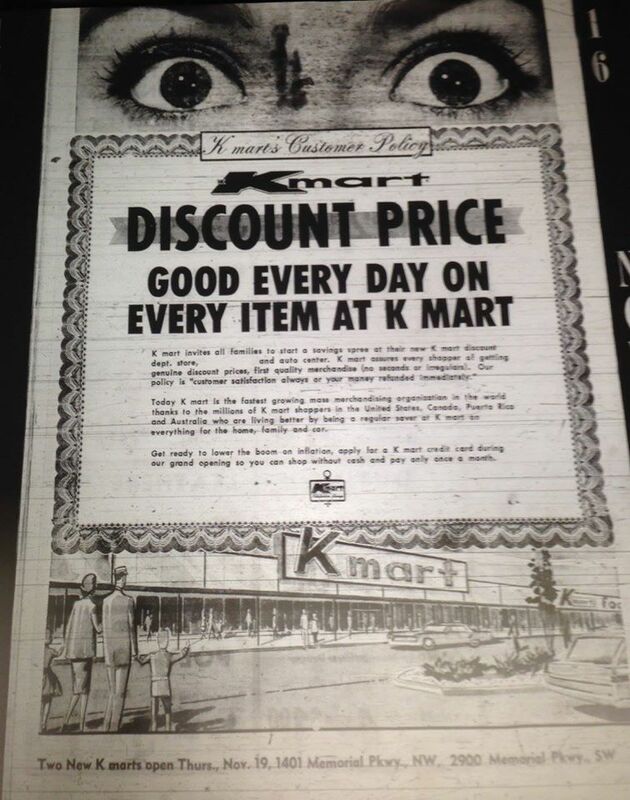 This era of Kmart carried a distinct look, with a "half circle" facade. The K logo would of been smack in the center, with some red lines on either side. 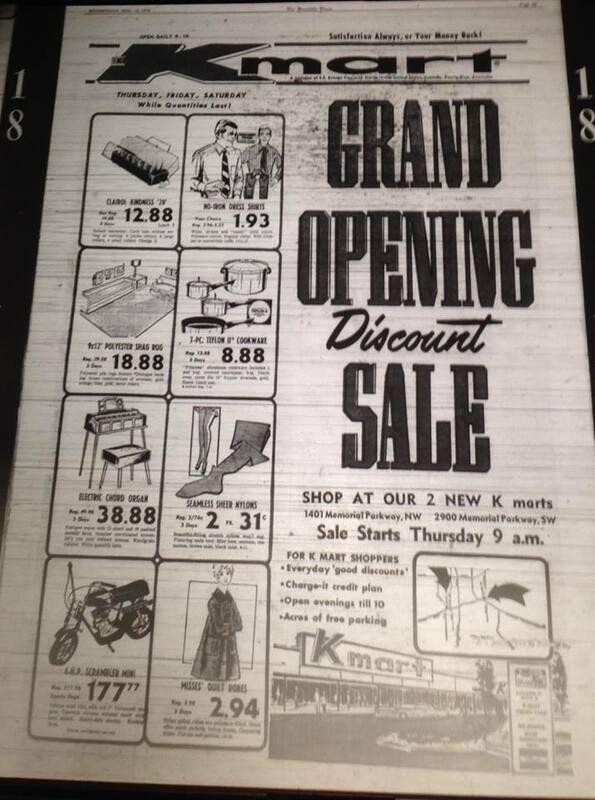 This opened as Kmart (nothing more, nothing less). Lets take you for a tour! 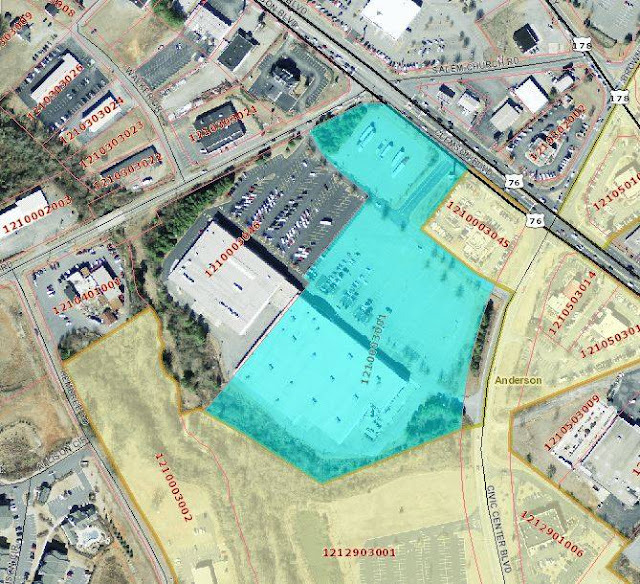 The blue shaded section is the land Kmart has. If you look in the upper part (where some trailers are parked) this was supposed to be for a K Express gas station if they store did expand. That never happened. Photo is courtesy of the local tax assessors office. Left side Garden Shop entrance. If this became a Super Kmart, this would of been another entrance to the store. You can even see it simply says "entrance" over the door. Not something you see on many regular Kmart's. You can always tell when a Kmart was built to be a Super K or a "store within a store" with these "half circle" facades over the Garden Shop and main entrance. This is at the back of the store, looking towards Men's clothing on the left. Layaway department was in the back right corner of the store. Electronics was in the front of the store, to the right of the registers. I took the photo from the linens & bedding dept. Old Cafe. This would of had the "green" seats. Here is what this K Cafe would of looked like if it was still open and operating. This is from the store in Waynesboro, VA. This is the area in the front of the store, along the front wall, in front of the registers. I believe this was used for the selling of videos, cd's and such. If you have anything more to add about the store in Anderson, SC just comment below or send an email to deadanddyingretail@gmail.com!